Detoxes and cleanses are popular but are they really worth it? Their ads and descriptions claim to be miracle workers but are they actually beneficial? What are some better ways to get healthy that doesn't involve a detox or a cleanse? What about when it comes to environmental detoxes? Why people are so interested in doing a detox or cleanse. The various beneficial claims people make about doing a detox or cleanse. The reality of taking detoxes. Online hoaxes and false promises that you should be aware of in order to avoid them. What's In A Detox Or Cleanse? The Master Cleanse gives you a sugar high from consuming so much maple syrup every day, keeps you hydrated from the water, and the cayenne pepper claims to improve circulation and metabolism. However, you don't want to be consuming so much maple syrup every day and the cayenne pepper can actually damage the body after long-term use. In a nutshell, the 10-Day Green Smoothie basically eliminates all nutrients that you get from consuming protein and macro-nutrients. Your body essentially cannibalizes itself and especially harms the muscles because you don't have the protein it needs to maintain muscle mass. People don't learn better, healthy habits and it becomes a yo-yo diet for them. Doing it for long lengths of time will make you feel worse than better in the long end. It's not a lifestyle change that will help you become healthier. If you do have a disease or a parasite, then you should speak with a holistic doctor who can also suggest vitamins, herbs, and supplements to help you get better. What Can You Do Besides A Detox Or A Cleanse? Drinking warm water with lemon. Staying hydrated by drinking more water daily. Taking out sugars and processed foods in your diet. Following a whole foods diet such as one that is Paleo-based. 3:50 First week results from our Sky Fit Challenge! 4:20 Why detoxes and cleanses are potentially a waste of time. 7:40 Common cleanses that you've probably heard of before. 8:50 What detoxes and cleanse claim to do for you. Why do you feel so good after doing them? 10:30 Following a cleanse for many days versus doing it occasionally on just one day. 11:30 The 10 - Day Green Smoothie: The pros and cons of it. 13:20 Why and when do people even choose to do a detox? 17:40 How our body is designed to actually detoxify itself. 19:00 What actually happens when you drink warm water with lemon. 20:00 The purpose of the kidneys and colon to help us naturally detox. 23:50 How the lungs and lymph nodes help you naturally detox. 24:40 Why cleanses make you so exhausted that you don't have the energy to move. 25:00 How a little bit of toxins like alcohol is actually good for us. 35:00 How you can detox the body while also taking supplements to help the process. 40:15 What about environmental detoxes? 42:00 Why changing your lifestyle and eating healthier isn't that complicated. Thanks for listening/reading episode 212 - Detoxes & Cleanses: Are They Worth It? We hope you have gained more knowledge on how to be a healthier you. Unrealistic expectations getting in your way of success and feeling proud of your accomplishments? You don’t want to miss this week's #TBT episode about Unrealistic Expectations of yourself. Join us as Devon and I go into the psychology behind why and how we tend to see the world in extremes. Often you think that if you are a not complete success then you must be a complete failure. Today, we're going to teach you why that sort of negative mindset is wrong and toxic for you. On this week's episode, we have a ton of great information to share with you about exercise, nutrition, and how to plan your weekly schedule. Who better to explain it all than Dr. Mike T Nelson himself!? His general weekly plan that he provides for new clients. The major lifts you should learn for overall strength and adjustments you can do over time. How often you should actually switch up your weekly workout. How much time you should actually be spending at the gym. Metabolic Flexibility vs. Inflexibility - What it is and how our bodies adjust and adapt to using what we eat as fuel. How to create a plan that works for your schedule, fitness goals, and nutrition focus. How lack of sleep can intensely, negatively affect our glucose levels. The Ketogenic Diet - Is there a danger for people who stay on it for long periods of time? What about for children? Dr. Mike T Nelson, BA, MS, PhD, is a university instructor and owner of Extreme Human Performance, LLC. He’s been called in to share his techniques with top government agencies. 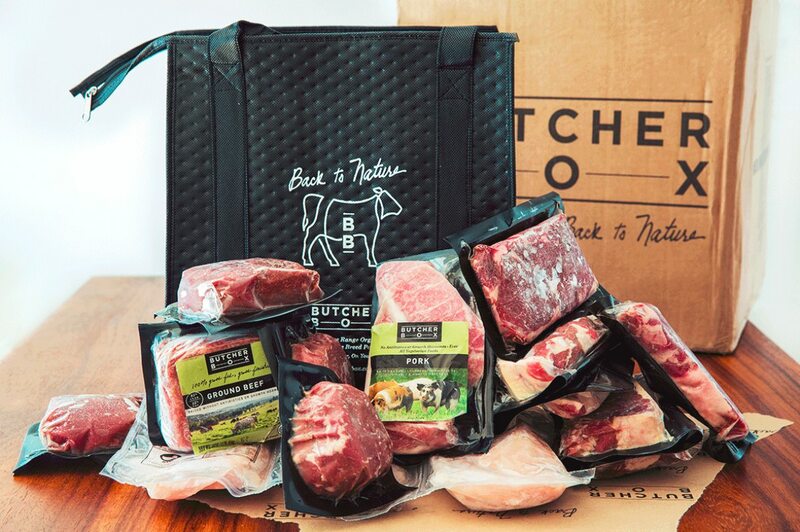 The techniques he’s developed and the results Mike gets for his clients have been featured in international magazines, in scientific publications, and on websites across the globe. Dr. Mike T. Nelson has spent 18 years of his life learning how the human body works, specifically focusing on how to properly condition it to burn fat and become stronger, more flexible, and healthier. He’s has a Ph.D. in Exercise Physiology, a BA in Natural Science, and an MS in Biomechanics. He’s an adjunct professor and a member of the American College of Sports Medicine. He’s been called in to share his techniques with top government agencies. The techniques he’s developed and the results Mike gets for his clients have been featured in international magazines, in scientific publications, and on websites across the globe. 4:10 Check out our 7 Day Paleo Reset that you can do anytime! 6:10 How he began his path on fitness, nutrition, and health plus what drives him. 12:00 His approach to helping people who feel like they've back-peddled in their fitness abilities. 15:00 What progress he's seen with his clients as far as short-term and long-term results when learning new skills, forgetting bad habits, and trying something new. 18:00 How he custom designs his programs for different people and the factors he takes into account. 21:30 A general weekly plan that he follows with clients when starting to work with them. 24:00 Different, slight adjustments to a movement that you can do to switch things up and trying something new. 25:30 The major lifts you should learn for overall strength and adjustments you can do over time. 28:00 Why we feel stronger using machines compared to when we switch to free weights. 30:00 How to go into a transition from one program to another. 31:00 Why you should change your workout program much, much less than you might think to be true. 33:30 What a cluster set is when you're weightlifting. 33:55 How much time should you actually be spending at the gym? 39:30 Are we truly too busy to workout or are we just getting in our own way? 41:00 How to work through your own struggles for time to regularly workout. 43:00 Metabolic Flexibility vs. Inflexibility - What it is and how our bodies adjust and adapt to using what we eat as fuel. 44:30 The best nutrition for what you what to focus on with your fitness goals. 46:50 Should you consider becoming fat-adapted when training for long-distance cardio? 51:00 The negative effects of being Metabolic Inflexible. 53:40 What should someone who's diabetic do when facing metabolic inflexibility as far as nutrition and exercise? 56:00 The results of diabetics taking glucose after a hard workout. 57:30 How lack of sleep can intensely, negatively affect our glucose levels. 59:50 Ketogenic diet - Is there a danger for people who stay on it for long periods of time? What about for children? Thanks for listening/reading episode 211 with Dr. Mike T. Nelson! We hope you have gained more knowledge on how to be a healthier you. Why Barefoot or Arch Support Shoes? In this #TBT episode of the Open Sky Fitness Podcast, Devon and I are tackling the ultimate clothing question: Is it better to walk or exercise while wearing barefoot, minimal shoes are shoes with tons of arch support? Either way, why did we even even begin to wear shoes in the first place and what makes barefoot or arch support shoes so important to our foot’s health? In this episode, I also spoke to Justin Schenck of the Growth Now Movement Podcast about his experience participating in the 7 Day Paleo Reset. This week is an extra special episode! We've been getting a TON of questions from our Open Sky Fitness Podcast Group on Facebook about fitness and exercise. The questions people wrote need such in-depth answers from us that rather than replying to them in the group, we're answering them this week in our podcast episode. Whether you work out a lot or are just getting started at the gym, this is a great episode to learn more about different types of workouts. 4:40 Let us know if you're still interested in the Sky Fit Challenge! 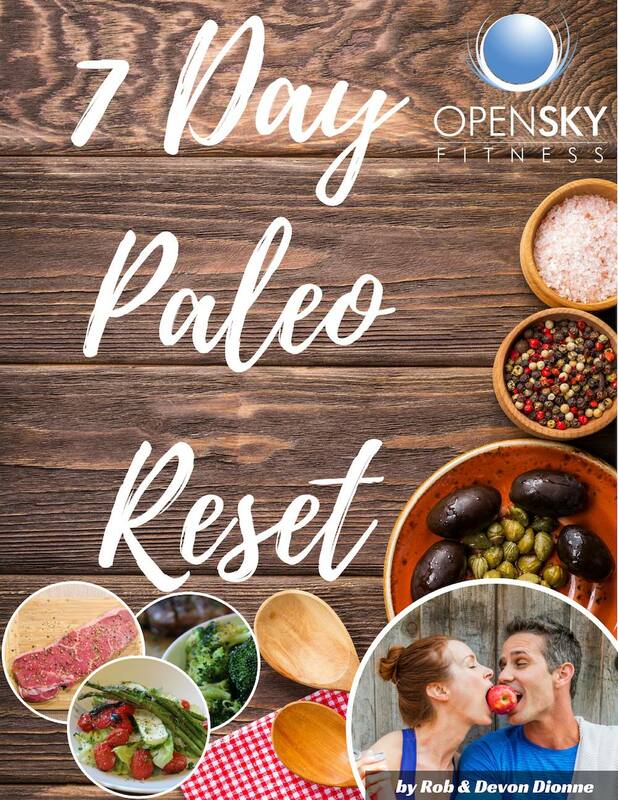 6:00 Check out our 7 Day Paleo Reset that you can do anytime! 9:00 Interval Training - What are the different options as far as speed and what's good for the best fat burning? Can you do interval training while intermittent fasting? 11:30 Chest bands vs. Fitbits and wearables for monitoring your heart rate. 13:40 How to get warmed up for a HIIT training workout. 15:30 Various types of HIIT training including cardio and body weight training. 16:40 Tabata - What it is and the various benefits. 21:40 Final decision - what HIIT method is best for you? 23:00 What foods should you be eating depending on if you do a HIIT or cardio workout that day? 23:55 Functional Training - How can we build up our pull-ups? 24:20 What Functional Training is and how it's beneficial. 26:30 The 7 Primal Movements we used as babies and how we can incorporate them into our workouts and daily lives as adults. 30:00 The benefits of working with a barbell to get in form before isolating specific movements, weight amount, and other variables. 35:30 Scaling pull-ups and how to do one. 38:30 How to use bands, machines, or boxes in assisting you with your pull-ups. 45:30 Concentric, eccentric, and isometric movements. 55:40 Time Under Tension eccentric workouts that incorporate and trigger adaptation. 53:30 Periodization workouts and how to incorporate movement into it. 54:40 Why Concentric movements are so great for athletes or focusing on specific skills. 55:30 Isometric movements like yoga and the benefits. 59:00 Lifting with machines vs. free weights. 1:01:00 Why weight lifting machines were even created in the first place. 1:03:00 How to stabilize your muscles through lifting weights over using a machine. 1:11:00 Final comments with Rob and Devon. OSF 204 - Cardio Vs. Weightlifting: Which Is More Important As We Age? 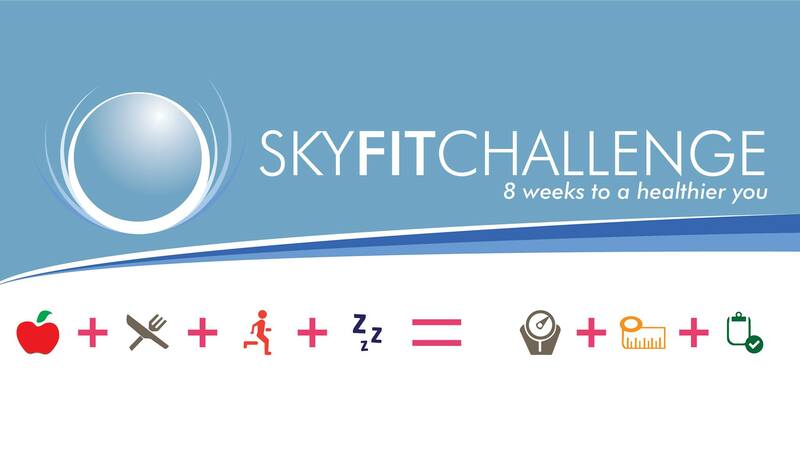 Our 8 Week Sky Fit Challenge has begun but you can still sign up or learn more about it! Thanks for listening/reading episode 210 - Machines vs. Free Weights, HIIT, and Functional Movement! We hope you have gained more knowledge on how to be a healthier you. We've got another BONUS EP for you this week with Stefani who also participated in the last Sky Fit Challenge with us. As you tune in, you'll learn all about her story of losing body fat and how her body composition was transformed in just 8 weeks. See Stefani's transformation Before & After photos in the Open Sky Fitness Podcast Facebook Group! The help Rob and Devon were able to directly give the SFC participants. Obstacles she ran into during the SFC and how she overcame them. Other diets or workout plans that she's tried in the past that didn't help her in the end. How she was still able to participate in the SFC despite her past injuries. How the SFC has now become part of her every day regular life. Differences she's seen in her energy levels. Why the SFC Community is her favorite part of the experience. The importance of having an accountability partner or group to help you keep on track with your goals. There’s a lot of social pressure that makes us feel like we have to look a certain way or a be a certain size to be accepted by others. Fortunately, there are amazing people like Christy Harrison of the Food Psych Podcast who are saying that “No, health is not a size,” and they’re teaching us how we can love our bodies and make peace with food. Like Christy’s personal story, it can be a long, difficult journey to accepting yourself and healing your relationship with food, but you should never give up. There’s always time and awesome sources out there to help you on your health and wellness journey. Two past Sky Fit Challengers, Ryan and Wendy, sit down to talk with Rob and Devon about their experience of losing over 40 pounds during the 8 week challenge. Why the joined the Sky Fit Challenge, what their experience was like, and the final results. How Wendy lost 7 pounds in just the first week of the Sky Fit Challenge. What they did to create a healthier environment and set boundaries for themselves; especially when their schedules got super crazy. What has changed for them since the Sky Fit Challenge now that the 8 weeks is over. How they feel now in their new bodies after the challenge. The biggest changes they've experienced including mindset, energy, and how they feel in their own relationship. Their favorite go-to recipes and snacks from the SFC Cookbook. How their past weight loss issues started at a young age due to injuries. Generational Nutrition habits they grew up with. What they went through during their 20s - how they tried to stay healthy; what worked and what didn't work. Their struggles with lowering how much sugar they eat and how they overcame that obstacle. We get messages from all over throughout our entire lives whether it's from the media, family, friends, peer groups, classmates, movies, and TVs that are telling us that our bodies need to look a certain way to be accepted. When we feel out of control, we feel like the only thing we have control over is our bodies. This week, we have an amazing interview for you with licensed psychotherapist, the Executive Director of Wellspring Camps, and author of Brain-Powered Weight Loss, Eliza Kingsford. Have an Intention or "Why"
• Identify and reverse the conscious and unconscious thinking errors and food triggers that lead to the behaviors that drive our food decisions. • Let go of the mindset of going on or off a diet in favor of a conscious quest to pursue a lifestyle of healthy eating and everyday activity—one that can last forever. • Successfully use what Kingsford calls “dealing skills” to outsmart high-risk situations, tame stressful times, and prevent an eating “slip” from leading to a setback or all-out binge. • Find out if you have what emerging research shows is an addiction to certain high-fat and sugar-added, processed foods that can be as powerful as addiction to cigarettes and narcotics. • Design a personal healthy eating program built on Kingsford’s 10 Principles of Healthy Eating. Eliza Kingsford is a Licensed Psychotherapist specializing in weight management, eating disorders and body image. Eliza is executive director of Wellspring Camps for teens and young adults, which follows the same holistic weight loss approach outlined in her new Brain-Powered Weight Loss book. She is also a certified personal trainer, group fitness instructor, and a long-time athlete. 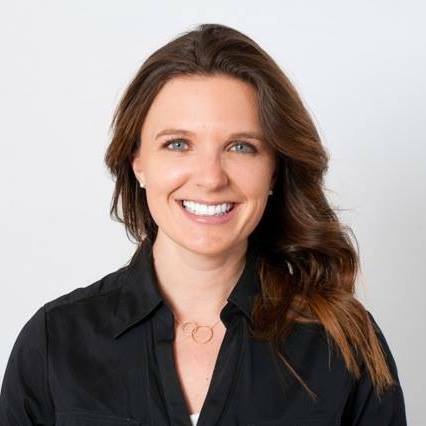 Eliza became passionate about combining therapeutic intervention, nutrition, and exercise early on in her graduate studies at the University of Colorado. An experienced speaker and presenter, Eliza has appeared on various television shows (Dr. Phil, Dr. Drew, and Dr. Oz), at national conferences and workshops, and in various publications. 3:40 What psychoanalysis is and how it can benefit our lives and relationships. 7:00 Sign up for our upcoming new Sky Fit Challenge that starts on July 16! 9:00 Get ready for interviews with some of our Sky Fit Challenge members this week! 11:15 What drew her in to study the relationships we have with food and why we spend so much time thinking about food. 13:30 How our childhood experiences can lead us to see food in a different way and shape our relationship with it as we move into adulthood. 14:30 What happens when we rely on comfort foods in order to cope with difficult moments. 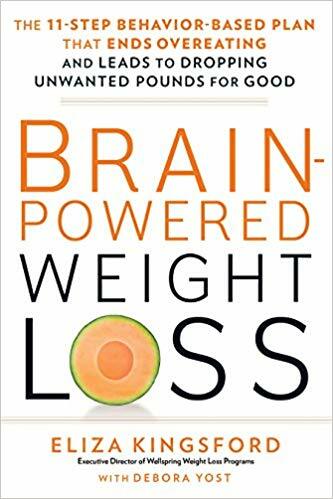 18:00 How she came up with the title for her book, Brain-Powered Weight Loss. 20:00 How she's helping people change their relationship with food through therapy, meditation, and replacing old thoughts with new ones. 21:50 Why words like 'diet' or 'weigh-loss' are so taboo these days. 24:00 What people are truly looking for when they want to lose weight. 26:40 What might be happening in our lives to believe that weight loss is the only way to make us feel better. 31:00 Can we move from one obsession or addiction to another throughout our entire lives? 32:20 The concept of healthy obsession and how it can help us live healthier lives. 35:20 The differences between addiction and obsessively focusing on health. 37:00 What it takes to get to the point when you're really ready to start focusing on your health. 38:00 Step 3 of her 11 Step Program - Identify your Thinking Errors and Food Triggers. 39:10 Ten cognitive disorders that lead to wanted eating. 40:30 Over-generalization: What it is and how it affects our thinking. 41:50 Mental Filtering: Why we only focus on the negative when there are a lot of positives. 44:20 Why we disqualify the positive in our lives. 47:55 Jumping to conclusions: Why they're hazardous to our thinking. 49:20 Maximizing what we do wrong and minimizing what we do well. 51:00 Why we allow our emotions to dictate who we are and how we can shift our mindset to experience a different feeling. 52:50 Exercises you can begin today to shift your mindset about yourself and your relationship with food. Thanks for listening/reading episode 209 - Brain-Powered Weight Loss with Eliza Kingsford! We hope you have gained more knowledge on how to be a healthier you. From time to time, we all face different struggles whether it be with exercise or food. This week, Rob and Devon share their top 5 tips to stay motivated to workout while special guest, Nutritionist Julie Daniluk explains how people with inflammation and autoimmune diseases can still eat delicious foods by eating powerful anti-inflammatory foods. Julie has had a personal relationship with the healing power of anti-inflammatory foods ever since she was a little girl. After her mother switched her from artificial and high sugared foods to natural foods, an immediate change was noticed in her behavior and energy levels. However, this wasn’t Julie’s only encounter with food affecting her body in a negative way. After returning back to sugar and experiencing a horrible bout of food poisoning, Julie learned once and for all to listen to her body and began eating anti-inflammatory foods to heal it back to normal health. In this week's episode, I had a really amazing interview with one of our Open Sky Fitness Podcast Group on Facebook members, Jim Sydnor, about his weight loss journey and how he turned his life around to live a healthy life. He had been athletic all his life but then he began ignoring his health in his 40s. Over time, he realized that his health was not what it used to be and needed to make a change for himself. Thus, he and his wife began focusing on turning their health around by walking more, cutting out sugars and processed foods, and keeping track of his measurements and progress. In the first 2 months, he had already dropped about 20 pounds. At the start of his health journey, he was 6'3" and weighed 265 pounds. In a span of 3 years of learning healthy habits and being consistent, he has now gained roughly 24 pounds of muscle and lost 70 pounds or more of fat. 11:00 When people get mad at your - sometimes it's not about you but it's actually about themselves and they're going through. 15:30 Fixed Mindset vs. Growth Mindset - How to be more curious and not have a negative voice running through your mind. 17:00 Some stories from our Sky Fit Challenge participants and their struggles with starting their own health journey. 20:00 Introduction to Jim Sydnor and his background story. 25:00 The progress he has made with his new mindset on health and wellness. 26:00 What his friends think of his new healthy lifestyle and mindset. 28:00 Various struggles he has faced and what changes he made to create a new plan for himself. 31:00 How he tried to gain muscle when he was younger with steroids and ended up having a bad reaction to them which inspired him to be healthy and strong naturally. 32:40 His struggles to lose the last 5-10 pounds. 35:00 What keeps him going every day to the gym and motivates him to both eat healthily and exercise. 38:00 Fears around death and being healthy as we age. 42:00 The benefits of switching up your workouts so that your body is forced to adapt and change. 43:40 What his family now eats vs. what they don't eat anymore. 47:00 His health updates with blood panels as far as cholesterol and blood sugar. 49:00 Why changing your diet could be the easiest fix to your health problems such as indigestion and acid reflux. 52:00 Both Rob and Jim's own rock bottom wake up calls to change their health around. 54:20 The importance of accepting where you're at now at the moment in your health and what simple changes you can make. 56:40 What advice Jim can give to Rob and other parents about nutrition and having healthy food in the house for the family. 1:00:00 How to raise healthy children via nutrition and teaching them about good self-image. 1:05:00 What Jim is doing today to help him and his wife stay consistent with their healthy lifestyle. 1:15:00 Closing comments with Rob and Devon. Thanks for listening/reading episode 208 - 8 Steps To Losing 65 Pounds! We hope you have gained more knowledge on how to be a healthier you.